Rich, creamy Milk Chocolate enclose each Pecan. Our Chocolate Covered Pecans are delicious! 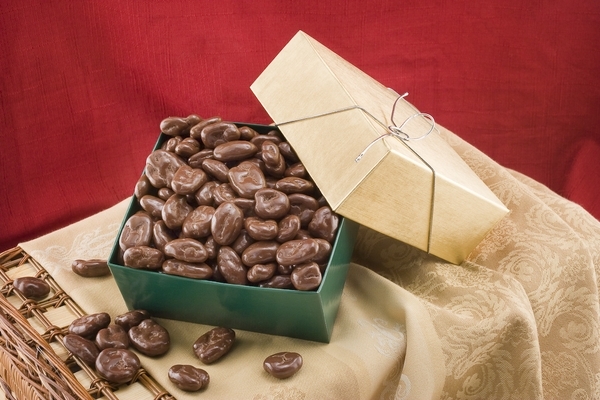 Chocolate Covered Pecans (Gift Box) - Net WT. 12oz. Ingredients: milk Chocolate (Sugar, Chocolate Liquor, Cocoa Butter, Milk, Anhydrous Butter, Soya Lecithin, Salt, Vanillin, Pecans, Gum Arabic, Corn Syrup and Confectioner's Glaze.